Never look back there's nothing there for someone like you . 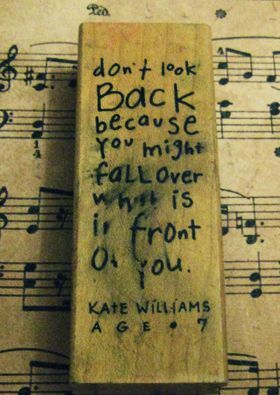 Theres no reason to look back when you have so much to look forward to. Live life to the fullest and never ever look back, there is a reason for the future and a reason for the past. There is always achievement behind the man who didn't waste time turning back. Life is all about doing the best you can with what little resources you have. Make the most of every opportunity and don't look back at the tasks you weren't able to complete on time.